PETA, the notorious animal rights activist group, likes to stir up controversy from time to time. While they have undoubtedly done good in bringing public attention to animal abuse in various forms, they’ve previously drawn ire for a number of stances that have been misguided at best and underhanded at worst, such as trying to convince people that drinking milk causes autism (and you thought the anti-vaccine people were bad enough). This week, they’ve been back in the news for their campaign to get Staffordshire Bull Terriers added to the Dangerous Dogs Act, which would make it illegal to own them without specific exemption. This was met with consternation from many people who own Staffies, particularly a man named Steve Quinn, who launched a counter-campaign to make sure no such thing came to pass. Quinn’s petition gained over 163,000 signatures of support, and, proving that democracy does occasionally work properly, the government rejected PETA’s proposal. It’s a stance that has put them at odds with other prominent animal welfare groups, such as the RSPCA. As is often the case with many drastic measures, even well-intentioned ones, there would likely be unintended consequences from putting these dogs on the list. 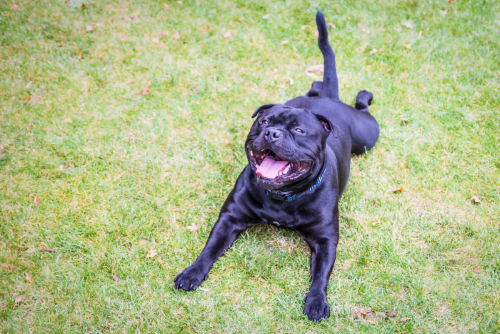 Many people own Staffies, which generally have a good temperament and, if treated well, are no more dangerous than any other dog. However, if they were added to the dangerous dogs list, it would only serve to demonise them. Staffies have already been vilified in the tabloids as fighting dogs owned by drug dealers and hoodlums prowling council estates. If PETA’s concern is that Staffies are being bred and sold to unscrupulous people, designating them as dangerous dogs would, if anything, create a self-fulfilling prophecy, making them primarily desirable to those types of people. People would be less likely to take them to the vet, knowing they are illegal to own, and also would keep them locked up and out of sight, not allowing them to get exercise. The level of suffering incurred by the dogs would actually rise. Furthermore, many Staffies who have been rescued and been rehomed with responsible owners would instead have to be destroyed. It was, all things considered, probably for the best that PETA lost this battle.